The 34th Ann Arbor College and Career Fair will take place Sunday on April 23, 2019 from 6:00 – 7:30 p.m. Location: Pioneer High School, 601 West Stadium Boulevard, Ann Arbor, MI. This is a great opportunity for students applying to college or getting ready to graduate. Meet college reps and ask questions. All high school parents and students are welcome, and bring younger siblings too to acquaint them with the process. 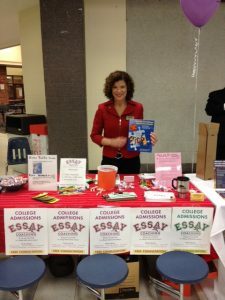 Come by the Essay Coaching table, pick up a helpful handout, ask questions about Essay Coaching and say hello to Debbie Merion! Not sure what to ask? Here are some great questions for Debbie! 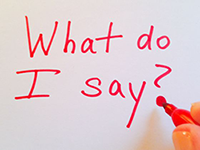 How do you help students write a strong essay? When is the best time for a student to start writing an essay? How many sessions will my daughter or son need? Answers are free! So is the college fair! This is a valuable event for any college-bound student or parent. Learn more about the 34th Ann Arbor College and Career Fair here.